Every time I visit a doctor, they ask me about my medications. What do I take, how often and what dosage? I’ve tried keeping a list on my mobile phone, but sometimes I can’t find the list and when I do, it’s often out of date. 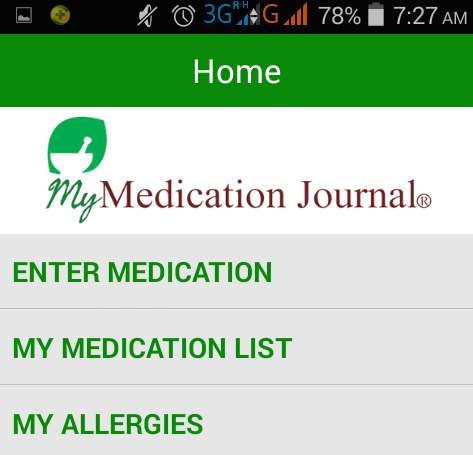 What I need is the My Medication Journal, an app that makes it easy to store and update personal medical information. One screen lets you take a photo of your medicine container while another screen lets you log relevant details such as the dosage, why and how often you take the medicine and who prescribed it. You can also list allergies and set alerts that prompt you take your meds before breakfast, for example, or at bedtime. And you can use email to share information with doctors or pharmacists. My Medication Journal costs 99 cents and is available for iOS devices in the iTunes App Store and for Androids in the Google Play Store. 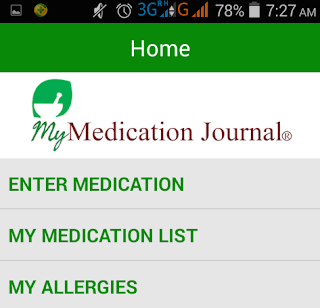 For more details, visit the My Medication Journal website.